Whether you’re planning an international trip or you’re headed to a local cultural experience, it’s important to learn about the eating habits of the folks you’ll be dining with. What might seem silly to you could be incredibly important to someone else, so don’t judge. Here is an excerpt of East Asian and Southeast Asian countries’ dining etiquette. You’re probably already aware that a large amount of independently-run donut shops in California are Cambodian-owned. What you may not know is that the donut shop industry is an integral part of the Cambodian immigration story. 1) Finding a donut in Cambodia is harder than you think. There may be donuts if you look hard, but if you thought you’d find streets lined with donut shops in Cambodia, you’re in for a let-down. While donuts are a large part of the Cambodian American culture, many can tell you that this is purely an American tradition. Allegedly, there is only one donut shop in all of Phnom Penh, Cambodia. 2) It all began with a man named Ted Ngoy. Before donut shops were associated with the Cambodian American culture, there was Ted Ngoy paving the way. He arrived in the U.S. in 1975 and two years later, he began his own donut shop. Clearly, his legacy continued. 4) Running a donut shop is hard work. You’ll often hear about these donut shops having only a few workers in order to save money. In fact, many of the workers are family members who must find time within their day to help the family business. As a result, many owners will work long and tiring hours to make sure their shop is functional. Additionally, many donut shop owners have voiced that the long hours have made it difficult to assimilate into a new society. An estimated 80% of donut shops in the Los Angeles area are owned by Cambodian Americans. In Houston, Texas, the percentage is an even larger 90%. Let’s take a look at some photographic evidence of the various 7-Eleven wannabes out there. You may not have guessed it, but our first offender is actually from none other than Japan! Err, was, that is–this particular store is no longer in business. Although the sign reads “7-Eleven,” the merchandise being sold there appears to be fitting only for some kind of school festival. Here’s a new one–how would you like to waste the night away at the “7-Eleven Dance Bar”? Finally, we have this “7-Seven” mart located in a popular Korean tourist area. While lacking the chain’s distinctive red and green stripes, the design of the numeral “7” still comes a little too close to the real thing. Has anyone seen any other fake 7-Elevens out there during their travels around the globe? We’re sure there’s a whole slew of counterfeit shops for other popular chains, such as McDonald’s and Starbucks, as well. 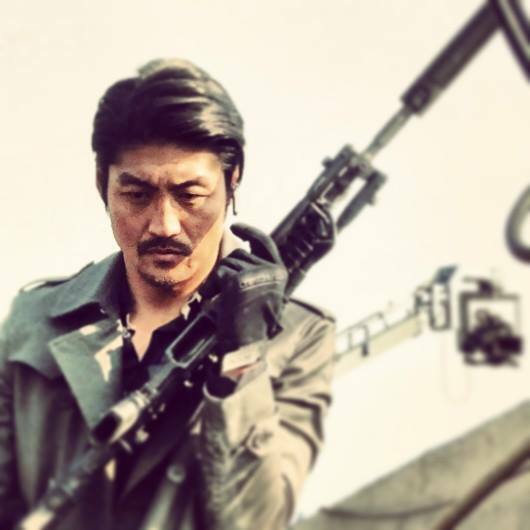 Brian Tee in Universal Pictures’ upcoming Hollywood blockbuster “Jurassic World” as Katashi Hamada. “He’s head of security for the park that they’ve opened in the movie Jurassic World,” said Tee. 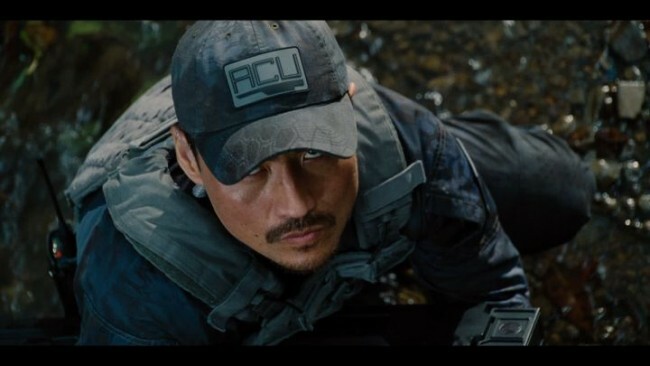 Actor Brian Tee is on his way back to the silver screen in Universal Pictures’ “Jurassic World” as Katashi Hamada, “a greying Japanese badass” according to a snapshot of the script from JurassicWorld.org. As of late he has been playing significant roles in more and more blockbusters, but by no means is he even beginning to feel jaded. In fact, many of his roles resonate with fond childhood memories. 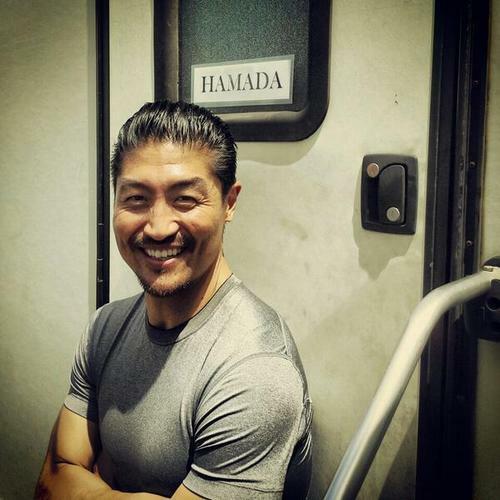 Actor Brian Tee on the set of Jurassic World, which was filmed in Hawaii, Kauai and Oahu. Even with an increasingly impressive track record, Tee still doesn’t feel quite like he’s made it. 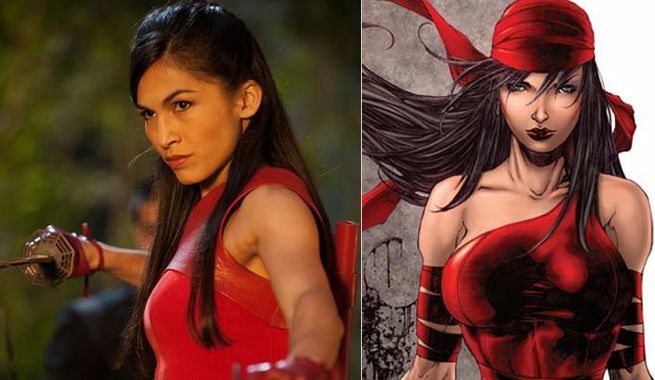 It’s a lofty one, but considering his background and experience, Tee seems like a fitting candidate to help reshape Hollywood’s sometimes outdated perception of Asian cultures in America. The 37-year-old is of Korean and Japanese descent and takes advantage of his familiarity with both cultures to expand his repertoire of roles. This ideology may be a bit too forward-thinking for older or more traditional demographics as illustrated by Korea’s and Japan’s lasting tensions over the latter’s controversial World War II practices, but his point is that there’s an attainable middle ground especially in the context of a modern day U.S. Despite his melting pot American upbringing, Tee was born in Okinawa, Japan as Jae-bum Takata — a combination of traditional Korean and Japanese names. He knew that tension was supposed to exist between the two cultures, but never really experienced it growing up. His father was born in the states and went to Lincoln High School in Los Angeles. “I think he felt less exposed to the traditional cultural conflict so that’s why it worked and they fell in love,” Tee said. As for his given last name, Takata, Tee recalls an interesting confrontation right after graduating from the University of California, Berkeley as a theater major that led him to change it to something more culturally ambiguous. After feeling a bit taken aback, Tee tried to explain why he would be a good fit regardless of his name. Tee was asked to leave the audition without a chance to show what he could offer. It was of no use. It seemed that if a college student was going to reject him based on a name, he might as well make some changes in case he ran into any similar issues in the future. 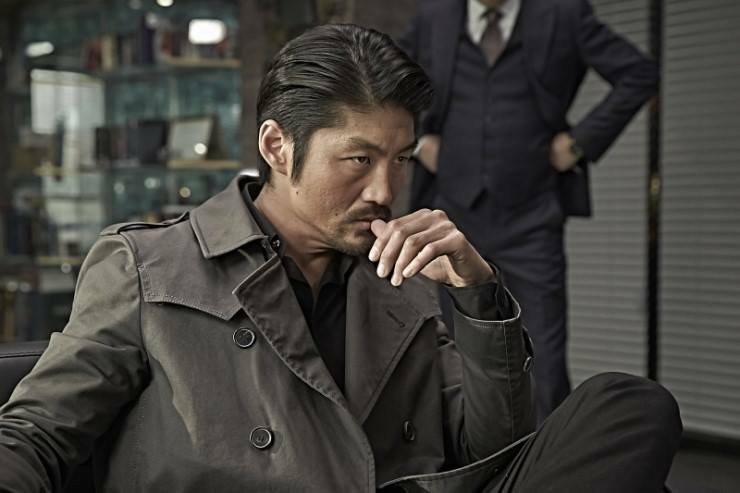 Fittingly enough, there is now a demand for the actor in the Korean film industry. Although there are many differences between how Hollywood and Korean film productions operate, one quality stands out in Tee’s mind. After venturing outside of the world’s entertainment capital, Tee found a creative freedom that he couldn’t elsewhere. Tee continues to spread this progressive attitude through his work and that’s good news considering that he feels his acting career is just starting to blossom. A few years ago, I began hearing about vapes, or electronic cigarettes, and I saw my peers start to use them with the claim that they wanted to quit smoking. Naturally, I was extremely skeptical because I was against smoking, even if vapes were supposedly harmless. However, I noticed that many vape shops were opening around me and vaping was rapidly becoming some sort of trend. You would not have expected me to work a part time summer job at a vape shop, now would you? Well, that’s exactly what I did the summer of 2013. Hearing about how passionate the new store-owners were about promoting a healthier lifestyle by “making the switch” and their own experiences with wanting to quit cigarette smoking opened my eyes and made me want to support their cause. In June 2013, BZ Vapin’ had their grand opening in La Habra, California. I was stunned at how huge the event turned out to be as crowds of people filtered in and out of the store’s glass door. The store produced a chill, Hawaiian vibe since the owners had family members from the islands. This theme is actually quite fitting for a vape shop because, unfortunately, tobacco use is a major concern for the Asian and Pacific Islander (API) community. In an effort to find a healthier alternative, they became one of the main consumers of vaping products. According to the Asian Pacific Partners of Empowerment, Advocacy and Leadership (APPEAL) in Oakland, California, tobacco is associated with heart disease, cancer and strokes. These are the top three killers of Asian Americans nationwide. In 2013, APPEAL conducted studies in Asian languages to accurately track smoking rates. Shockingly, the following groups revealed high smoking rates among men: Cambodian (13-58%), Korean (22-37%), Lao (32) and Vietnamese (24-41%). Standard vaping pens are customizable from color to tank size. So what exactly are vapes? Electronic cigarettes appeared in the marketplace in the early 2000s and were promoted as a cessation tool for those that wanted to quit tobacco smoking. Its use increased substantially over the last several years. Still, over a decade after the electronic cigarette’s first appearance, some doubt remains whether vaping is actually a healthier alternative to cigarettes and whether there are serious health risks. In a recent issue of the journal Addiction, they reported that vapes have fewer toxins and at a significantly lower level, and found that switching over can help smokers quit or reduce cigarette consumption. Vapes carry nicotine liquids or “juices” that typically contain propylene glycol and vegetable glycerin, flavoring and nicotine. There are a variety of flavors, from natural and synthetic to organic fruit extracts. There are also different levels of nicotine that range from zero to 36 mg. This allows the consumer, if they desire, to gradually decrease their nicotine intake and perhaps eventually stop smoking or vaping altogether. Aer juices (pronounced like “air”) can be mixed to create your own flavor. “E-cig users are inhaling water-like vapor that is free of the tar and high levels of carcinogens that make cigarette smoking so dangerous,” says George Conley, President of the American Vaping Association. He also claims that the public has been misled into thinking that e-cigs are a threat to public health because of the fear that those who have never smoked will vape as first time users. Conley also argues that with the increase of vapor products, there is also a quicker decrease in cigarette sales. Why would anyone be against this? As someone who is anti-tobacco, I support vaping as a healthier alternative. Though I have never smoked tobacco, I have used a vape with juice that contained nicotine many times. Did I become a smoker? No. Am I addicted to vaping? Not at all. I don’t even own one and don’t crave using it. However, I don’t mind the pleasant fruity or dessert scents that comes from the vapor. So the next time a pleasant smelling cloud comes your way, you’ll know you have nothing to worry about. On a blistering cold night, a steaming hot bowl of soup is the tastiest cure to the shivers and well, almost everything else right? Now that winter is full steam (sorry) ahead, here are ten different Asian soups, from the popular to the underrated, that you should try eating and possibly try making this winter! A Cambodian delicacy, kuy teav is a Camobidan Chinese pork noodle soup made from a clear broth and flat rice noodles. Kuy teav is usually enjoyed as a breakfast dish from street vendors, but we feel that it’s comforts will last throughout the day! Unlike the popular ramen, soba noodles are made from buckwheat flour. Soba can be a year round dish and is typically served either hot and in a soup for winter or chilled with a dipping sauce for summer. Also, soba differs from udon in that soba noodles are thin while udon noodles are genuinely thicker. A spicy Malayasian–Chinese fusion dish. There are three main types of laksa: curry laksa, asam laksa and sarawak laksa. Curry laksa has a coconut curry base, while asam laksa has a sourfish soup base, and sarawak has a sambal belacan base. No matter which type of laksa you choose, it’s sure to give you a kick! There are many different types of beef noodle soups out there. However, the red-braised beef noodle soup was invented by Chinese refugees in Taiwan during the Chinese Civil War. Today, Taiwan considers this red-braised beef noodle soup a national dish. With it’s tender beef and spicy broth, it is sure to be a comfort during those chilly months. Tong Sui literally means “sugar water” in Cantonese and is a soup dessert that is a Cantonese delicacy. Bakmi ayam, or often shortened to mei ayam, is an Indonesian noodle soup that is very simple but delicious. The main ingredients are wheat noodles, chinese bok choy (cabbage), and slices of chicken and mushroom. Eaten separately or together with the broth, the soup is delicious either way! Sinigiang is a Filipino dish. A tamarind-based soup, Sinigiang is usually sour because of ingredients such as guava and ripe mango. Soondubu jjigae is a spicy Korean tofu soup. It’s typically served in a hot stone pot with other dishes such as rice, meat, or banchan on the side. Milagu Rasam is a pepper tamarind-based South Indian soup. Supposedly, both the black pepper and tamarind are natural heat-inducing ingredients for the body. Either way, milagu rasam is a tasty method to staying warm! Pho is probably the most famous Vietnamese soups, but Bun Mang Vit, a duck and noodle soup, is also another tasty option! The main ingredients here are duck, bamboo shoots and vermicelli noodles, but the lemongrass, ginger and chili give this soup a nice kick.